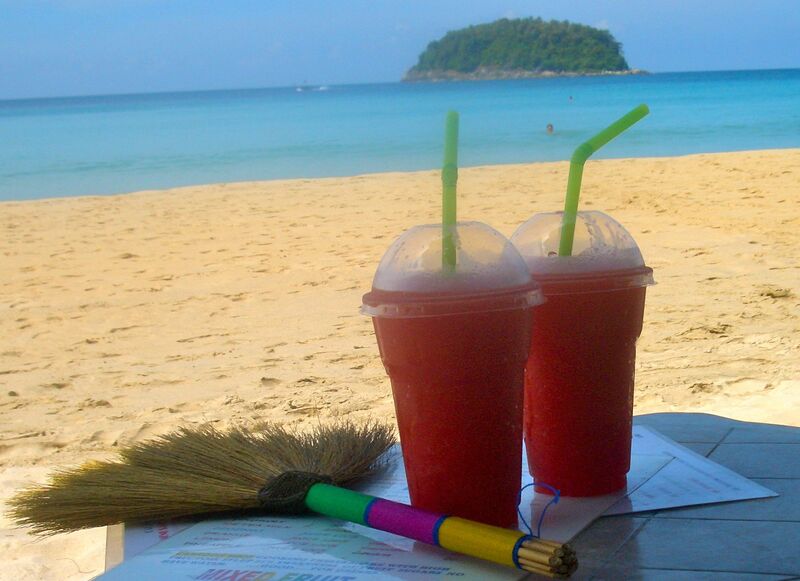 For beach babies like me, Phuket is quite simply heaven. 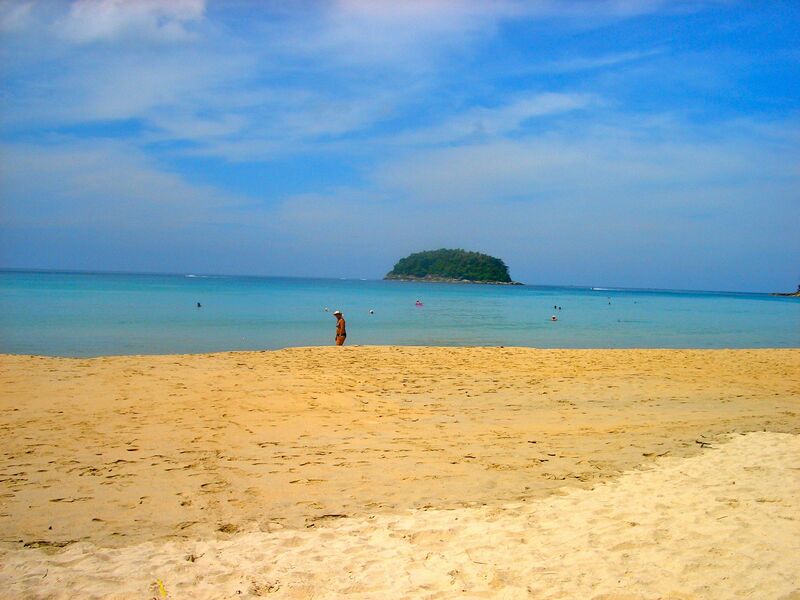 Our area, Kata Beach, had a bay with a beach of nearly two kilometres. 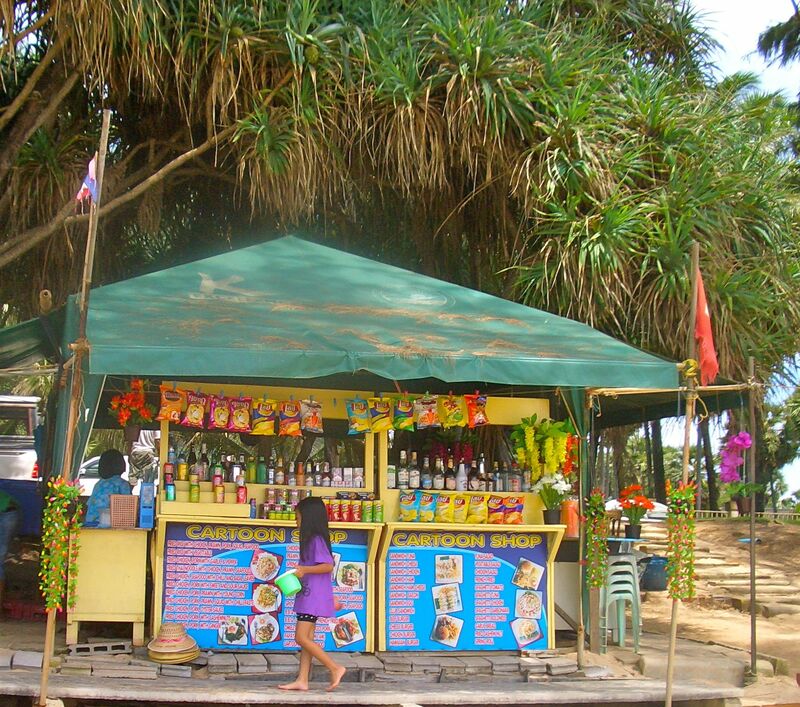 It wasn’t particularly crowded, the Andaman Sea was perfectly warm, blue and clear and, even better, there were little restaurants dotted along at regular intervals. Ours was called The Cartoon Shop. Everyone who worked there was friendly, cheerful and welcoming and they served everything you could need to keep you happy on the beach. On first arriving in the morning it was one of their legendary shakes (see previous post) to settle us in. Our day at the beach was inevitably punctuated by a stream of people selling everything from corn on the cob to clothes, sunglasses, belts, purses, bags, you name it. Oh, and these little brushes, perfect for brushing the sand off your bed and your feet. I laughed when I first saw someone using one, but soon was the proud owner of the colourful item myself. Time for lunch and The Cartoon Shop had a good menu offering a range of salads, noodles, rices and soups. 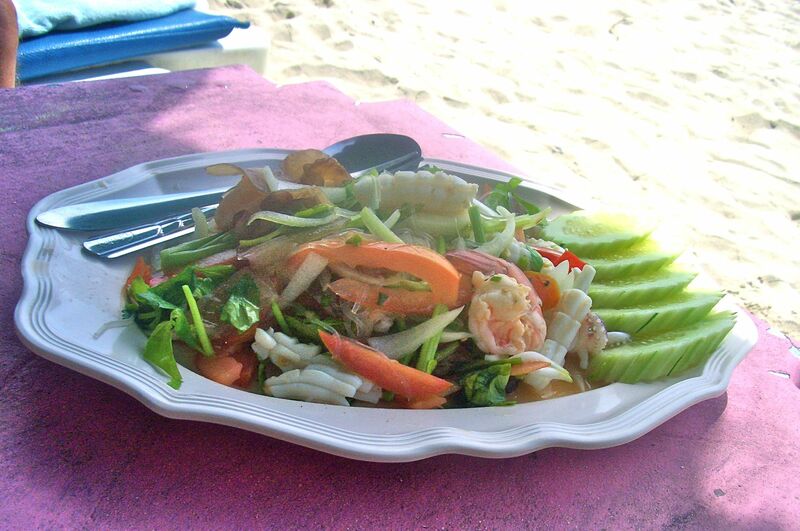 Our favourite was the salad with glass noodles and seafood (prawns and calamari). After our first snack in Phuket we remembered not to order anything with the word spicy in front of it (blow-your-lips-off chilli), so were specifying that we would like our salad to be “a little chilli”. This turned out to be pretty hot, but we soon got used to it and ordered this salad several times. Freshly made with juicy prawns, amazingly tender calamari and a properly zesty dressing. Yummy. 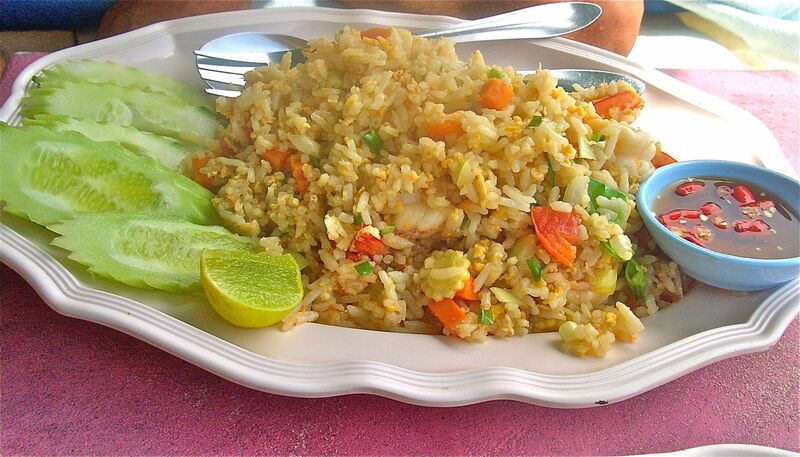 Another favourite was the prawn rice. Oh, and these dishes cost around 120 baht each, which is about £2.50. Delicious and the most unbelievable value. Also scattered along the beach were massage huts (for want of a better description). Beds in the shade overlooking the sea where you could have a massage, pedicure or manicure, or have your hair braided. I couldn’t resist a pedicure which cost me the princely sum of 200 baht (just over £4). And it was a good one. 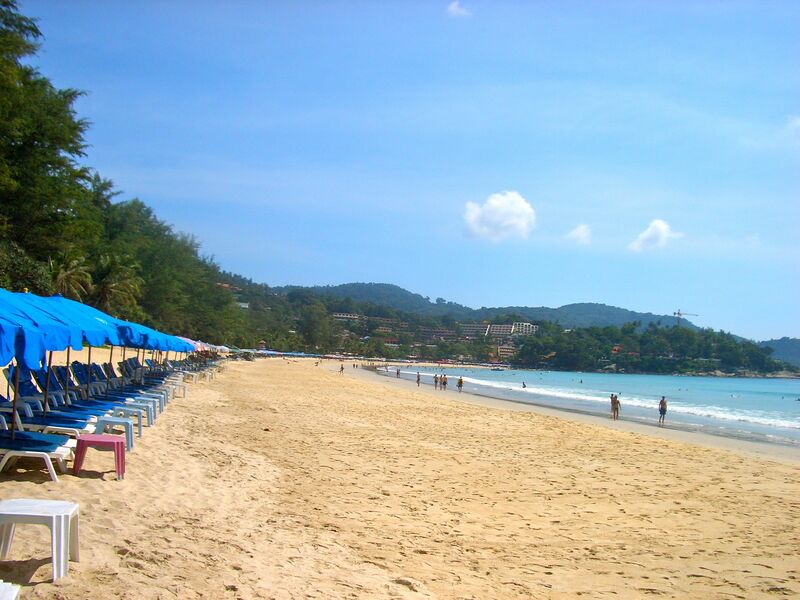 The beach in Phuket is truly wonderful. I literally spent hours in the sea, but there was still plenty of time for eating and drinking, and of course, shopping…all without leaving your sunbed. How I miss it!